The former One Direction singer was due to perform at the 2016 CapitalFM Summertime Ball at Wembley Arena in London, England on Saturday night (11Jun16), but posted a statement on his Instagram account just hours before he was set to take to the stage to explain his non-appearance. "To all those people who have been waiting to see me perform at the Capital Summertime Ball today…I flew into the UK last night to appear in my home country in front of my family, friends and most importantly, my UK fans,” he began. “Unfortunately, my anxiety that has haunted me throughout the last few months around live performances has gotten the better of me…with the magnitude of the event, I have suffered the worst anxiety of my career." Zayn added how sorry he was to let his fans down after they had patiently waited to see him, but promised to make it up to them as soon as he could. “I know those who suffer anxiety will understand and I hope those who don’t can empathize with my situation," he added. This isn't the first time the 23-year-old Pillowtalk performer has been a last minute no-show in recent months, having pulled out of an appearance on British talk show The Graham Norton Show in January (16). The following week, he cancelled an interview with BBC Radio One's Greg James moments before going on air, leaving fans who were lining the streets to catch a glimpse of the heartthrob devastated. This time though, Zayn's anxiety may not have been solely about performing in front of a large crowd, as he could also have been worried about bumping into ex-fiancee Perrie Edwards, who was performing at the event with her band, Little Mix. 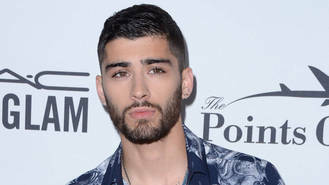 The young couple called off its engagement in August last year (15), with Zayn embarking on a new relationship with supermodel Gigi Hadid in November.